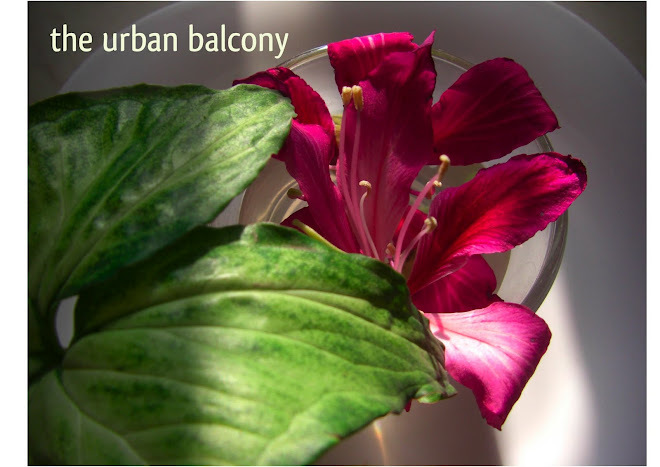 the urban balcony: Gloom to cheer! i hope you feel better girl... that's a lot of cheerful colour around you! Sorry you've had such a rough time, but those Petunias are magnificent. Hello Urban Green! It is so good to hear from you. Glad to hear that all these pretty blooms brought you some cheer :-D Flowers cheers me up as well. The petunias here are wonderful. I like them all. Stay happy ok. Have a wonderful evening! Nice to hear some cheer! hope things sort themselves as time goes by. Thanks for your cheerful petunias and pansies. Your petunias are beautiful. I'm glad that you are back and feeling better. Life is a roller coaster. You have the ups and downs, and it seems there were more downs than ups in last couple of weeks. I am sure that having gone through these troubled phases you must be a stronger and better person now. Hope your quota of downs is over and happiness blooms in house like the Begonias in your garden. Good to have you back on blogville. Even in the difficult times, you were there for your container garden and the plants were there for you too :). Wishing you the best .. The petunias are awesome and I am all ears to any tips you have on raising them. I am out of luck all the 3 times I tried. They simply didn't germinate. Wow.. awesome flowers you have! I like the variety of flowers and their petals n sepals variations. Great colors too. Hats off! Glad to see you back online. Love the petunias! I'm a lot like you...it all blends together for me!!! your flowers are gorgeous!